Laguna Beach, California, 2010. Alireza Courdee, a fourteen-year-old straight-A student and chemistry whiz, takes his first hit of pot. In as long as it takes to inhale and exhale, he is transformed from the high-achieving son of Iranian immigrants into a happy-go-lucky stoner. He loses his virginity, takes up surfing, and sneaks away to all-night raves. For the first time, Reza - now Rez - feels like an American teen. Life is smooth; even lying to his strict parents comes easily. Timely, nuanced, and emotionally forceful, A Good Country is a gorgeous meditation on modern life, religious radicalization, and a young man caught among vastly different worlds. What we are left with at the dramatic end is not an assessment of good or evil, east versus west, but a lingering question that applies to all modern souls: Do we decide how to live, or is our life decided for us? Readers who seek to understand another person's life experience  whether similar or vastly different to their own  will not be disappointed in A Good Country, and they may find their world view is changed and challenged by this powerful story too. (Reviewed by Kate Braithwaite). This is a heartbreaking coming-of-age story about the world we live in now. Starred Review. Engrossing ... Khadivi's carefully crafted, masterful novel illustrates how the perfect storm of teenage cruelty, racism, and tragedy can create an extremist. Starred Review. 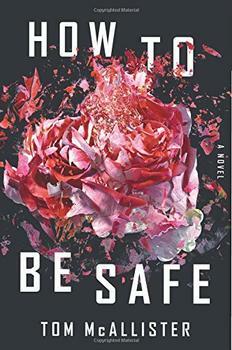 Brilliantly channeling the minds of angst-filled teenagers with barely formed worldviews who seesaw between brash self-confidence and deflating insecurities, Whiting and Pushcart Prize winner Khadivi (The Walking) has written an important, smart, timely novel that rivals such standouts as Karan Mahajan's The Association of Small Bombs or Mohsin Hamid's The Reluctant Fundamentalist. Starred Review. A brilliant novel about a young man's reckoning with a flawed and violent world. 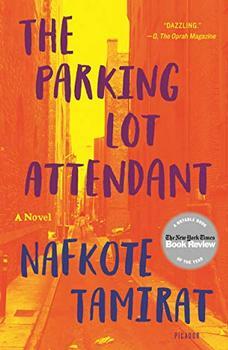 As detailed in Lalehi Kadivi's novel, A Good Country, the Boston Marathon Bombing took place on April 15, 2013. Three people were killed and over 260 others were injured including at least 16 who lost limbs. Tamerlan and Dzhokhar Tzarnaev, two brothers aged 24 and 19, had manufactured home made bombs contained in pressure cookers which exploded near the marathon finish line. Tamerlan died in the subsequent manhunt, but his younger brother Dzhokhar was tried for his part in the atrocity and has been sentenced to death by lethal injection. Both brothers originate from the Chechnian region of Russia and immigrated to the United States as children in 2002. Their family claimed political asylum.